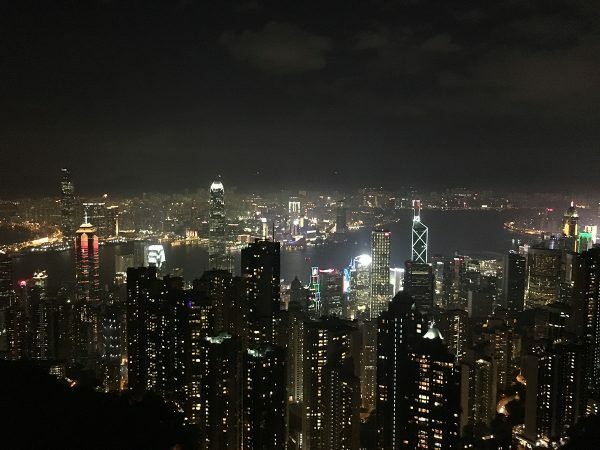 Of all the wonderful tourist attractions on offer in Hong Kong, Victoria Peak is undoubtedly the most iconic. With an elevation of 552 metres (1,811 ft.), it is the highest mountain on Hong Kong Island. Locals and tourists alike flock to the peak every day, making it the most visited attraction in the region. Yet it isn’t the peak itself that attracts so much adoration; it’s the panoramic views from the top. Dazzling skyscrapers and the sparkling Victoria Harbour stretch out beneath you, glittering in the midday sun. At night, a galaxy of multi-coloured lights transforms the urban jungle into a twinkling wonderland. Hong Kong is renowned for having one of the most beautiful cityscapes in the world, and Victoria Peak is the ideal place to appreciate it. To reach the peak, most visitors take the Peak Tram, which has been in operation for over 100 years and currently ferries an average of 11,000 people to the top every day! Its lower terminus hosts the Peak Tram Historical Gallery, where visitors can learn all about the tram’s history, and its upper terminus ends in the magnificent Peak Tower. This is one of two large complexes atop the peak, the other being the Peak Galleria. Both of them boast viewing decks where visitors can soak in the celebrated scenery, although the Peak Tower’s Sky Terrace 428 charges a small entry fee and views of Victoria Harbour from the Peak Galleria are unfortunately obscured. Most of the peak is dominated by public parks and luxury residential areas, although the summit is occupied by a radio telecommunications facility and is actually off-limits to the public. With properties regularly selling for over HK$1.8 billion (£170 million), it is the most expensive location to buy real estate in the world! Historically speaking, this area has been attracting interest since the 19th century, when European expatriates quickly discovered that its panoramic view of the city and its temperate climate made it the perfect escape from the oppressive humidity in the rest of Hong Kong. The sixth Governor of Hong Kong, Sir Richard MacDonnell, famously built his summer residence on the peak in 1868. Tragically MacDonnell’s mansion was destroyed during the Second World War, but its verdant gardens remain and are now open to the public. The Governor evidently inspired a trend in the Hong Kong elite, because soon other houses, such as the Austin Arms and the Eyrie, began cropping up on its expanse. However, the tram service had yet to be developed, so these original residents would have to reach their homes by being carried up and down the steep slopes on sedan chairs. If you thought your job was bad, imagine what it would be like to work as a servant for the Peak’s rich and famous! It wasn’t until 1888 that the Peak Tram finally started operating. From 1904 until 1947, the peak was designated an exclusive residential area reserved only for expatriates, which is why it’s visibly dominated by colonial architecture. The Peak Tower wasn’t built until 1972 and only contained a café and a restaurant at the time. In 1993, the tower underwent a major redevelopment, and nowadays is a colossal complex with its own Madame Tussauds Wax Museum, Ripley’s Believe It or Not! Odditorium, and observation deck, along with numerous shops and restaurants. Similarly the Peak Tram, which was initially powered by coal-fired steam boilers, was updated into an electrically powered system in 1926. Modernised though it may be, Victoria Peak still retains its quaint charm and provides a welcome escape from the bustling metropolis of Central. With its lush greenery, tranquil public parks, and breath-taking views, it represents a little slice of peace and quiet for the locals of Hong Kong. Whether it’s hiking, shopping, or simply people-watching, it has an inimitable attraction that draws people from all walks of life. In short, if you’re in Hong Kong, it’s sure to pique your interest!